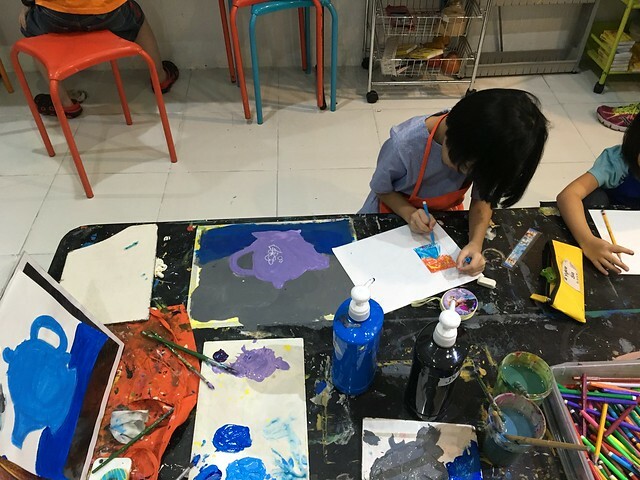 This summer we enrolled Y in an art class at My Little Art Place in Wilson St., San Juan. 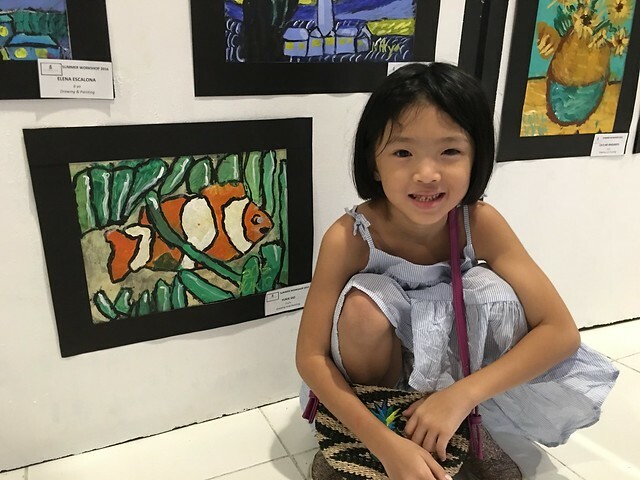 She loves drawing and coloring, our bedroom's door and wall are covered with her art works. 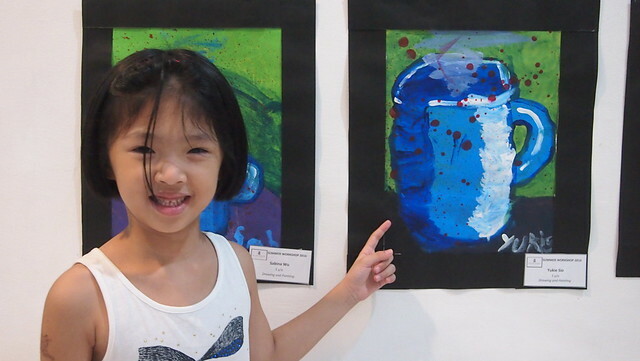 I think she got her love for arts from her papa who's really a talented artist (naks! May kapalit to ah.. joke! 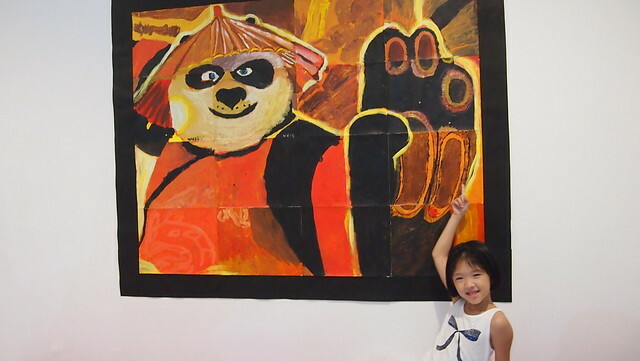 Hihi) so for the summer, we enrolled her to two modules of their Drawing and Paint course. This was during our first module. It was the second week of March and there were still a few students. Their student-teacher ratio is 8:1 but as other schools went on their summer vacation, ang dami na nila but you don't have to worry as they have a lot of teachers! Each module has 8 sessions and it costs Php6,500. A bit expensive right? That's what I first thought too but if you compute for it, it's actually really worth it. 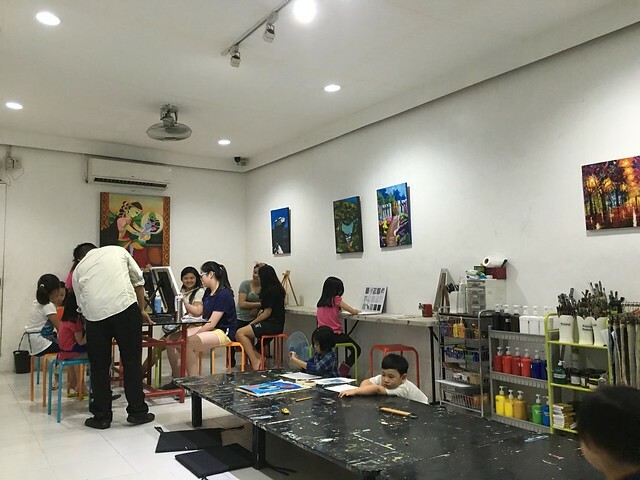 Other art classes offers only 1 hour per session, at My Little Art Place, 1 session is 3 hours. So that Php6,500/8/3 = Php271 per hour. Ang intsik lang nag compute pa! Haha! 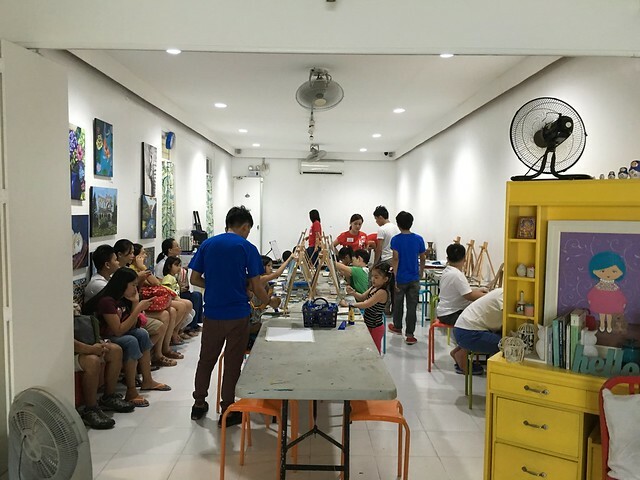 They get to finish 1 art work a day so you'll take home 8 art works in total plus there's an exhibit at the end of each module! This is the Batch 4 flyer. 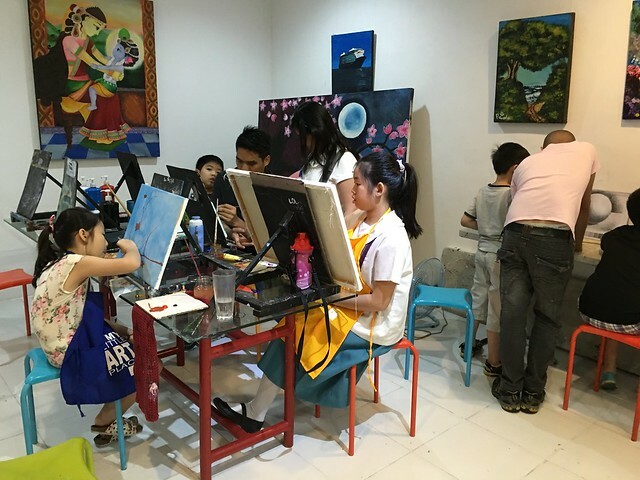 Batch 4 ended last June 2 but they also offer after-school sessions. 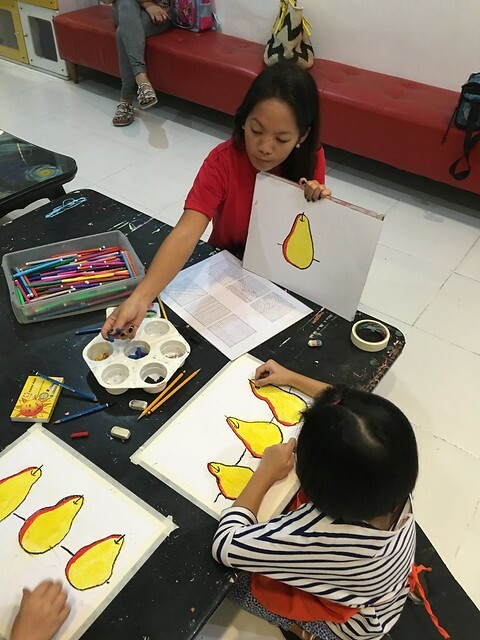 Y started with the very basic shading and color wheel and eventually made simple art works to a slightly complicated ones with the help of her teachers. They're guided very well but of course the teachers also help the kids if they need a little guiding. 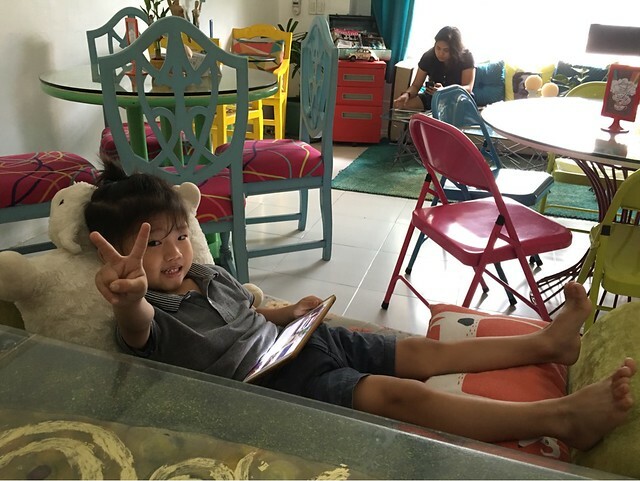 Y enjoys each session very much and always looks forward to the next! 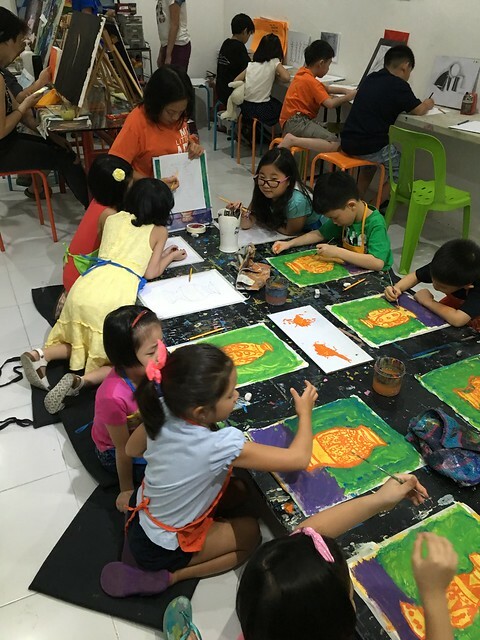 Some of these students have been with My Little Art Place for many years. 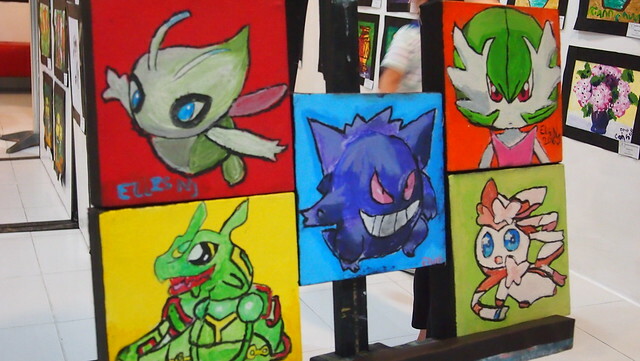 Most of them are on Advanced Painting classes already and are really good! 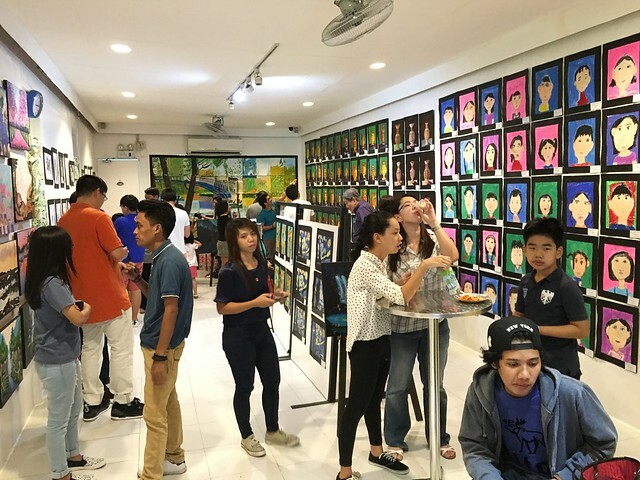 As the summer goes, more students filled up the space! 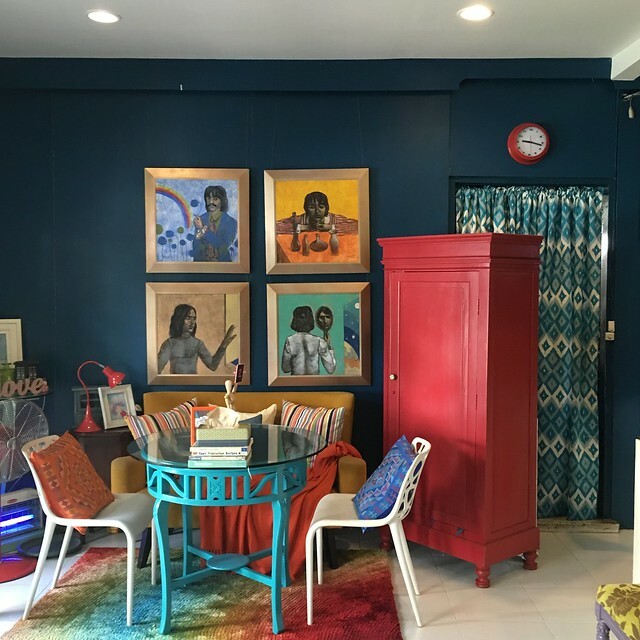 My sister who also enrolled my nephew but attends the afternoon session, told me that there are more students in the afternoon as in abot na sila sa cafe and the partition (see that white partition on the below left photo?) was opened to make space for more tables! 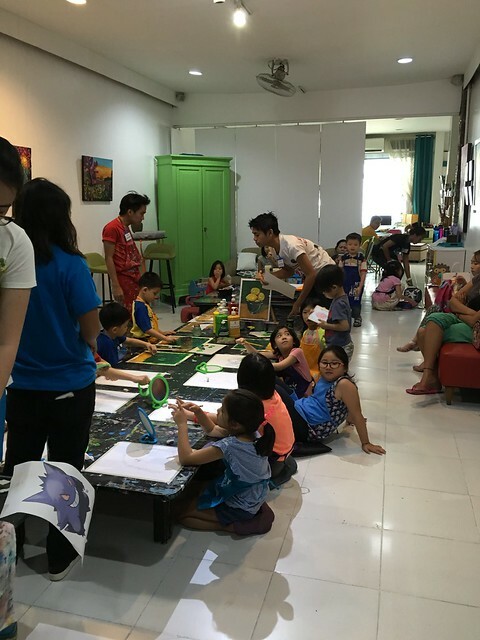 What I like about My Little Art Place is that teachers are good. 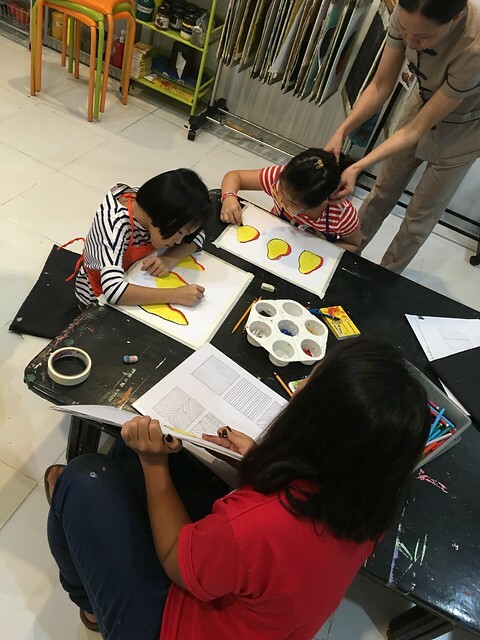 While they guide the kids how to draw, they still encourage creativity and their work doesn't need to be perfect. And while waiting for paint to dry, drawing pa din! 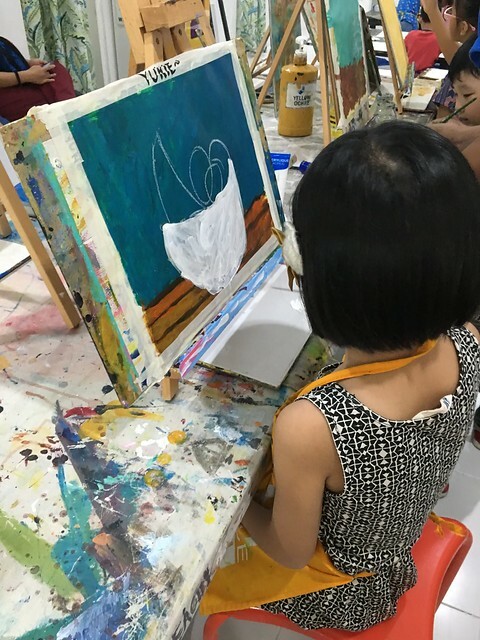 With Module 2, she worked on more detailed paintings. 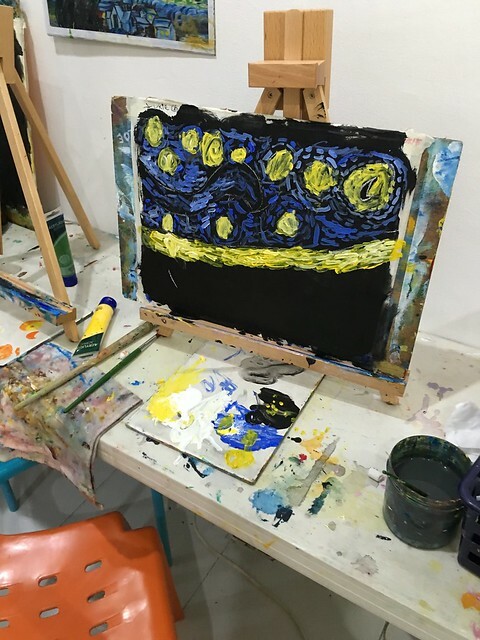 Her Starry Night painting is missing though. 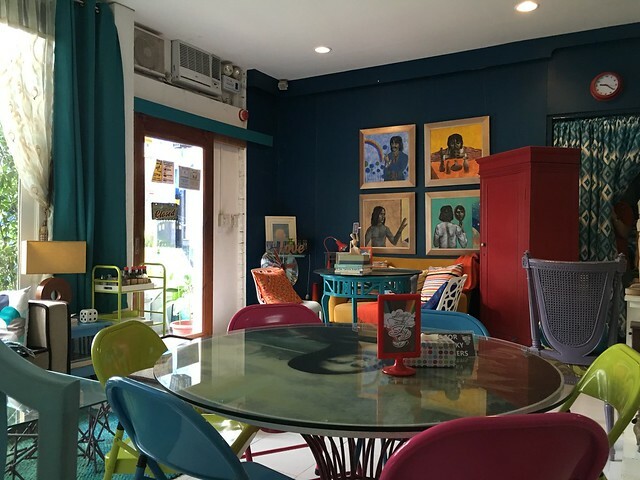 My Little Art Place also is/has a vegetarian cafe/restaurant inside, Lucy in the Sky Cafe. 14 of the 16 sessions were spent waiting in the cafe. The first two sessions, R and I went to Starbucks to have our breakfast because Lucy in the Sky doesn't open until 10:30AM but during our 3rd session, I learned we can order coffee as early as 8AM but the kitchen opens at 10-ish but we can also order food in advance and request it to be serve at a time you want them to. 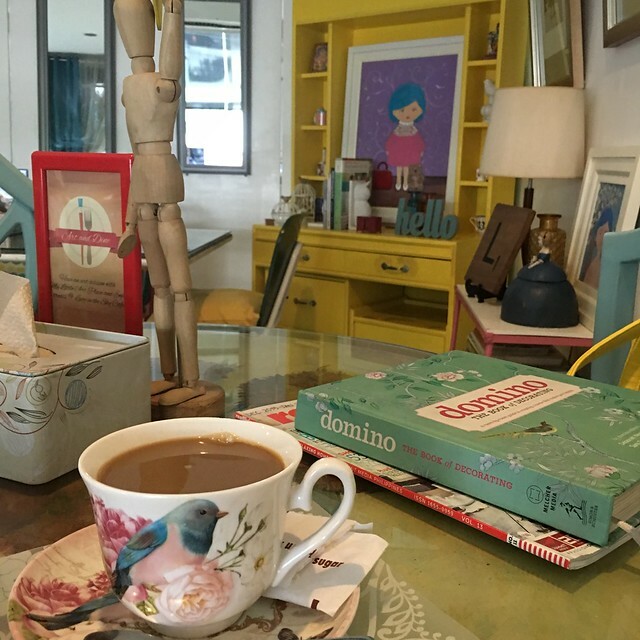 I love waiting at the cafe because of the quirky but homey interior. I think I was able to sat on all the tables because how can you not if you spend 16 sessions here. Haha! This is one of my favorite spots and because it's near an outlet. Most of the time I bring my laptop so I can work while waiting for Y. 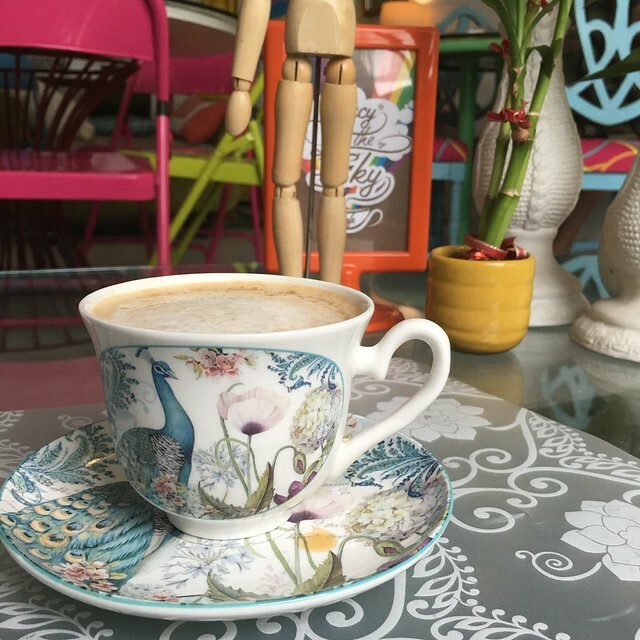 They serve their coffee in this dainty coffee cups! 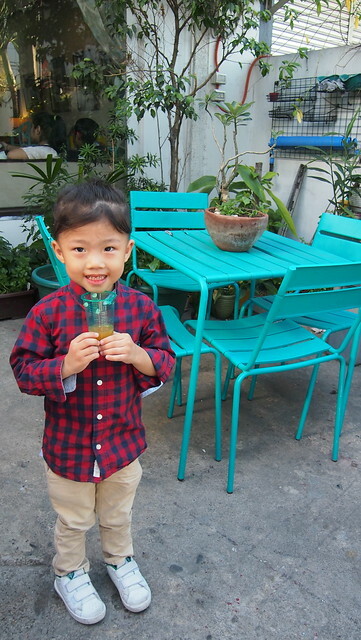 And while I am busy with my work, R was also busy feeling at home at the cafe. Hihi! And he also had his favorite spot and he orders the same food: Cheese Fries and Iced Tea every time, well almost every time. This is his favorite spot and he loves that sheep pillow! 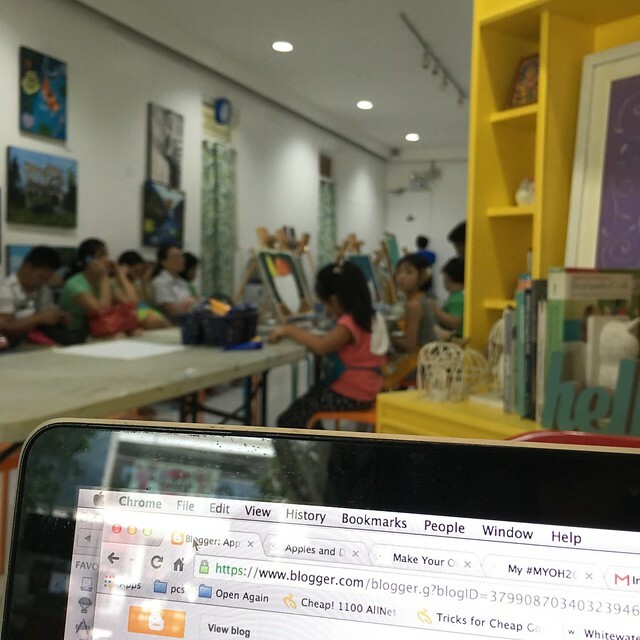 Working while waiting... and sometimes watching iFlix haha! 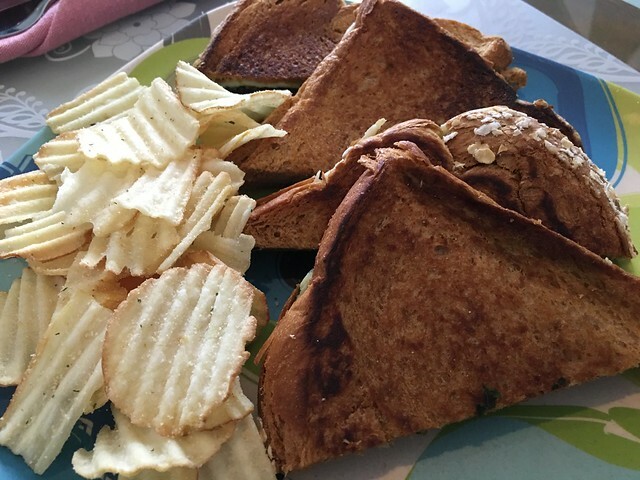 I also have my favorite, the Grilled Pesto Malunggay with Cheese Sandwich (Php165)! And I always have their Latte or Americano. 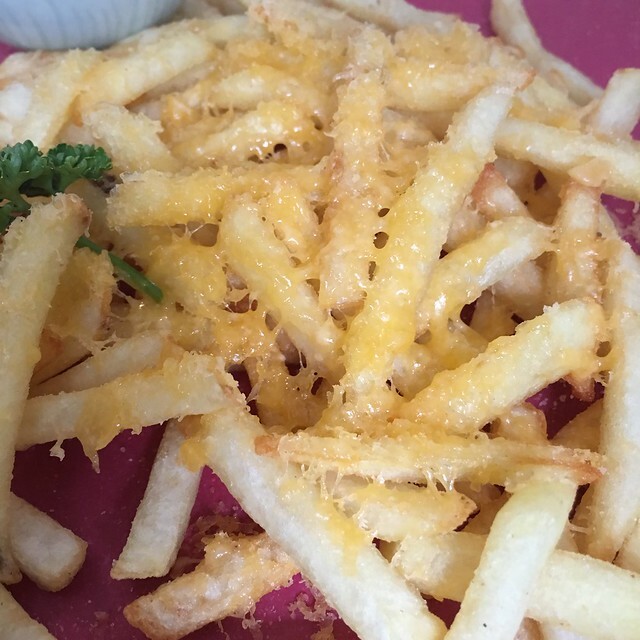 Their Cheddar Cheese French Fries (Php95) is probably their best seller for the kids! We ordered this almost every day. They don't use the artificial orange cheese powder but real cheddar cheese! We also had our lunch a few times at the cafe but this was the only photo of the food we had. 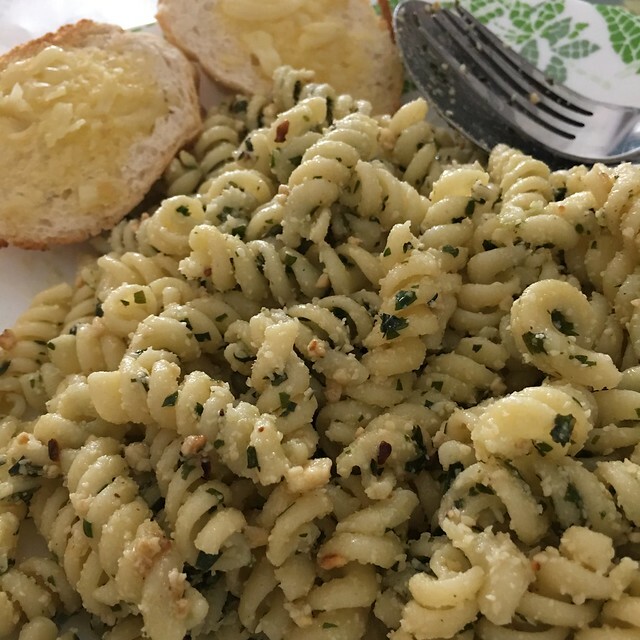 The Malunggay Basil Pesto Pasta (Php165), it was okay, kulang sa alat for me! 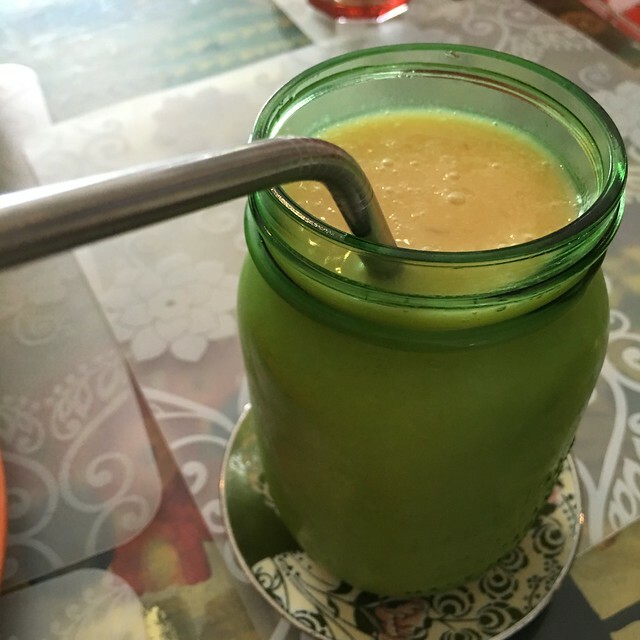 Mango Yoghurt Shake (Php130)! Their Mango Tarragon and Watermelon Basil Shakes are also good! 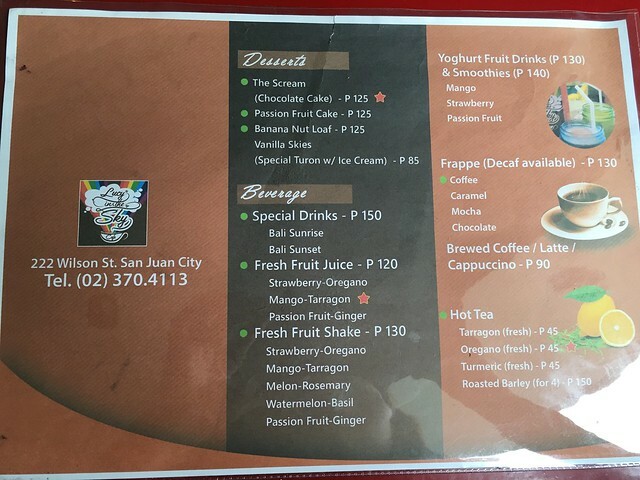 Here's their menu for your reference! 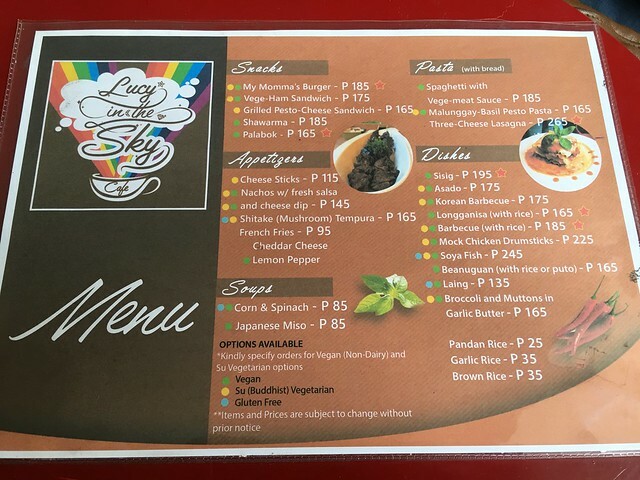 They have a good wifi connection and good coffee, if you are looking into working outside of your home, maybe you can consider Lucy in the Sky Cafe! 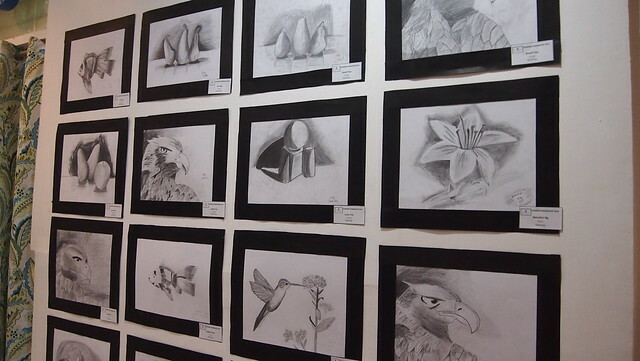 At the end of each module was an exhibit where the works of the students are displayed inside the gallery. It was a nice culminating event, Y was always excited and proud of what she made. This was the first exhibit. 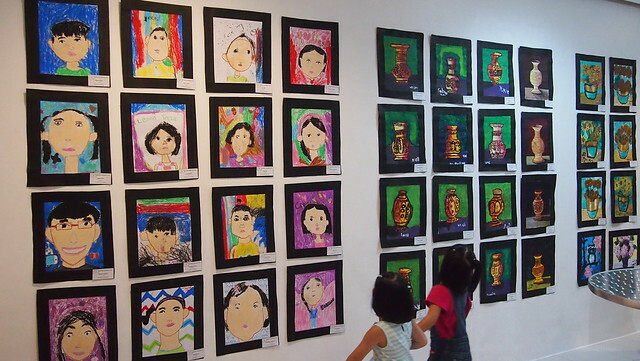 There were not a lot of students yet so all their works were displayed. Left: That's her self portrait she's pointing at. Right: R supporting Achi by eating and drinking what they served during the exhibit. Haha! 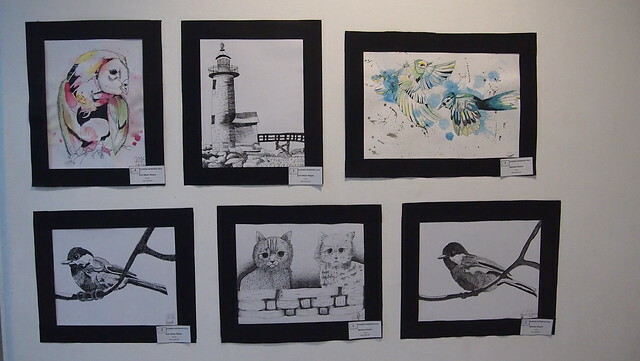 Here are some of the other paintings and drawings that were displayed during the first exhibit. Ang galing! 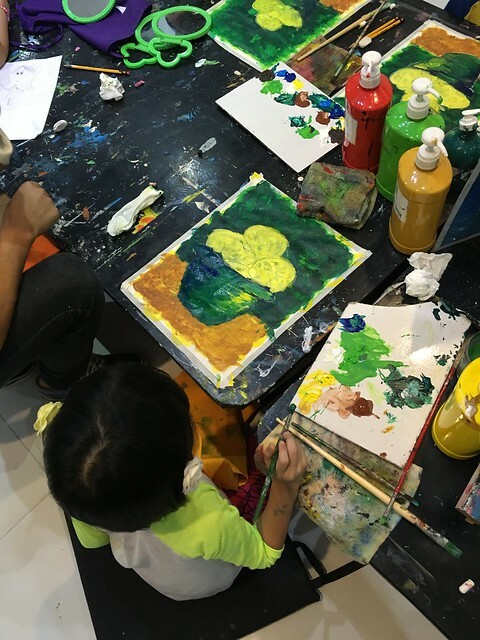 Y said she wants to paint like that, I told her to practice and we'll enroll her in more classes! 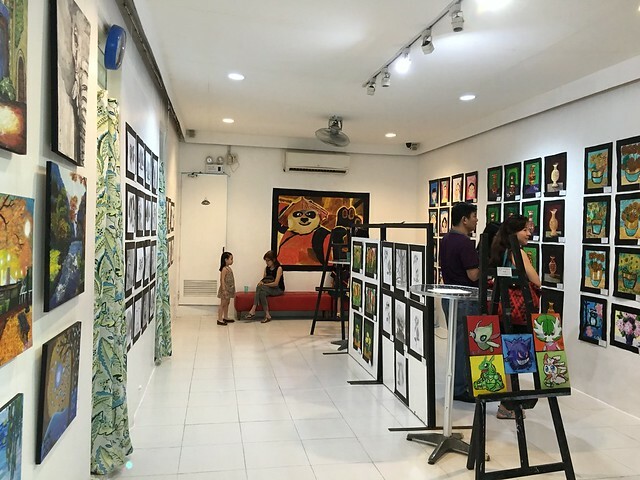 During the second exhibit, the walls were filled up with more paintings. More students, more paintings but not all of their work was displayed though. 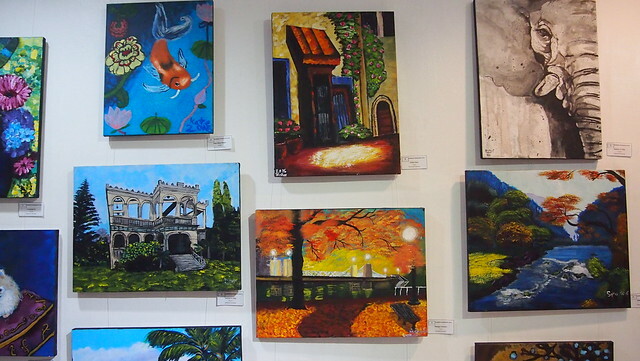 I had to look for Y's paintings in the sea of all these art works! 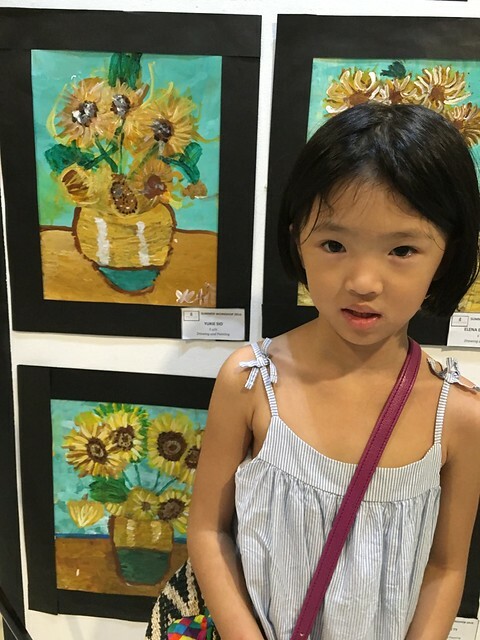 Left: Y with her flower painting. 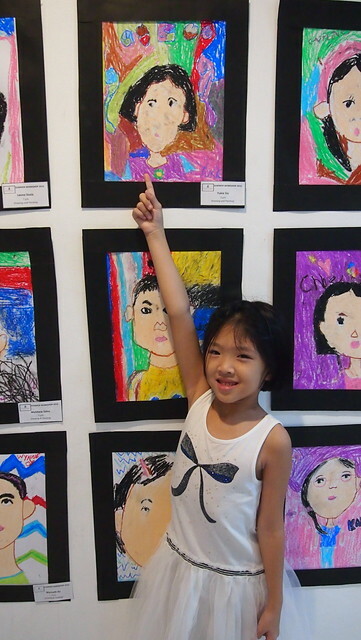 Right: Her cousin G with his self portrait! Cutipie! 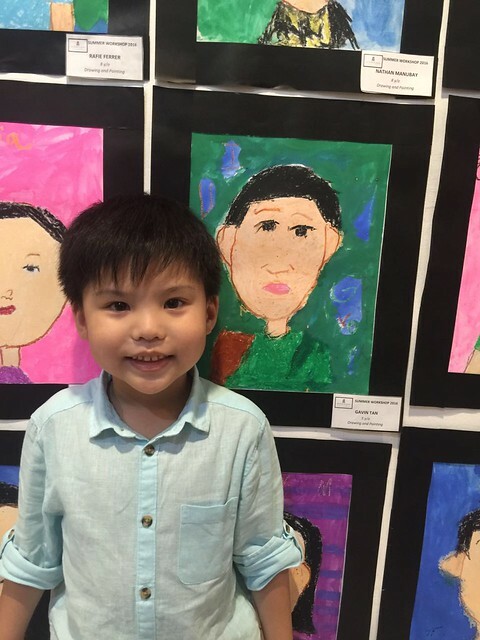 Y's second piece on display! She looks sleepy here because she just woke up from her nap! 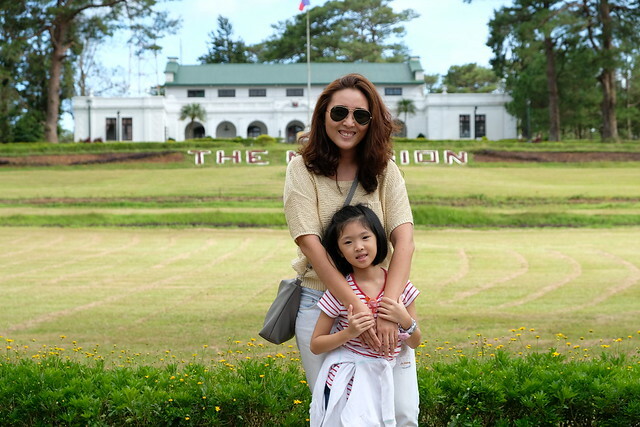 We're so proud of Achi! We're framing her favorite pieces and will hang it up in their room! Yay! We wanted to enroll her for the 3rd Module but we went on vacations and we had another summer activity lined up for her. 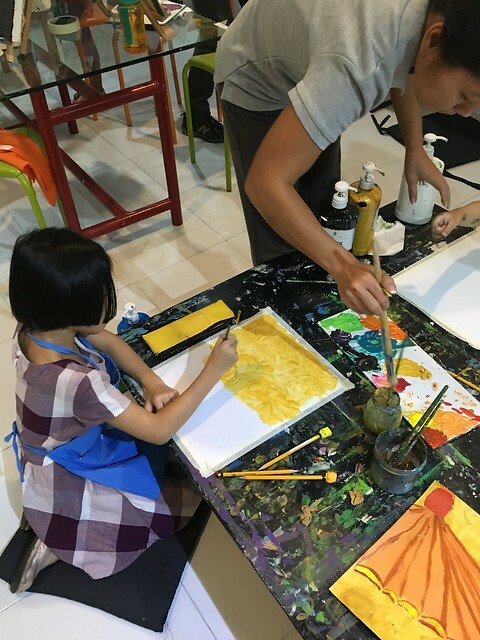 She's been bugging us when she'll go back again to My Little Art Place so I inquired if they offer workshops during the school year and they do! 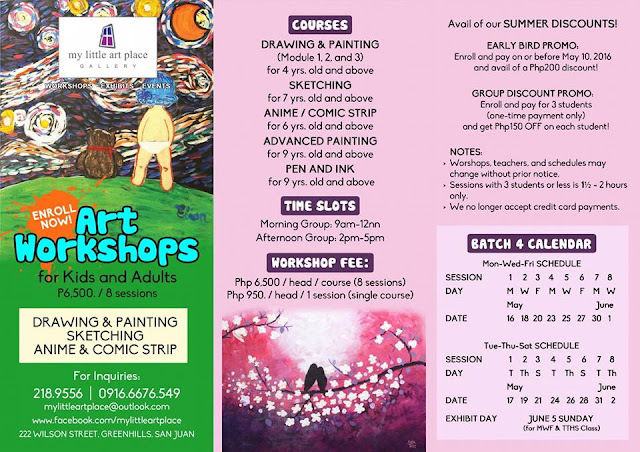 Their School Year Workshops will start on June 13, rate is the the same which is Php6,500 for 8 sessions. 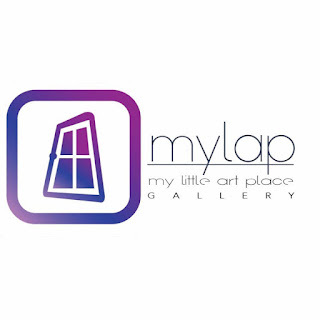 They offer group discount and year round discount. 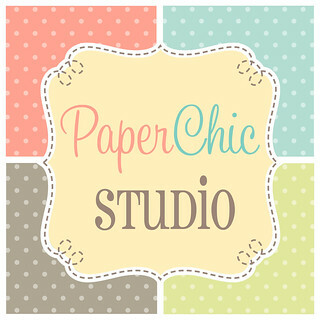 Group Discount - enroll and pay for 3 students (1 time and same schedule only) and get Php150 off on each student. Year Round Discount - Php16,500 for 24 sessions (must be completed on or before May 2017, not applicable to group discount). 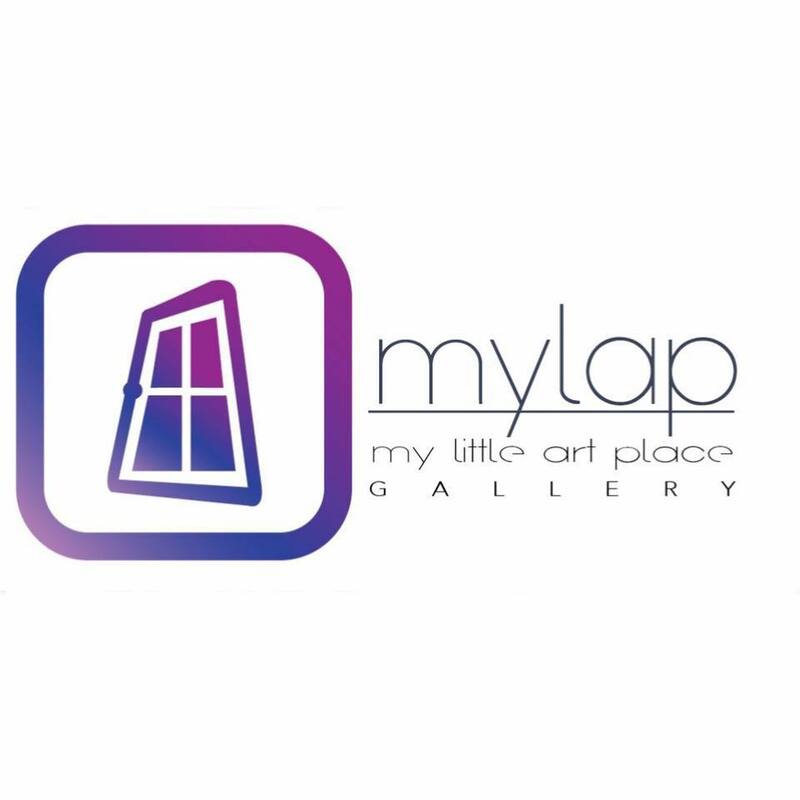 For more information and questions, check out My Little Art Place Facebook Page and @mylittleartplace on Instagram!